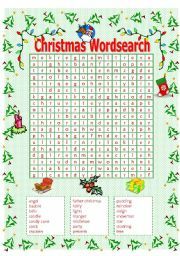 This is a fun wordsearch for students to enjoy. This is a reading activity with questions about the text. My students found it interesting. 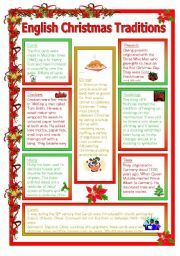 I found the information on a web site and used it to make my own worksheet. Some of the words appear to be missing but it downloaded ok when I tried it. I hope you like it. 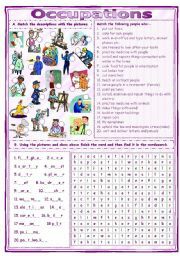 This worksheet has a match the picture with the description activity and complete the spelling and find the word activity. Answer key included. 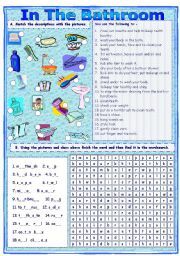 There are flash cards to go with this worksheet.It prints well in black and white. Hope you like it. Have a nice day. 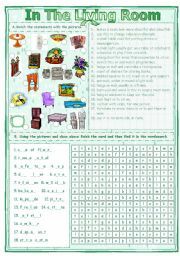 This worksheet has a match the picture to the description exercise and a complete the spelling and wordsearch exercise. It prints well in black and white too. I hope you like it. Have a nice day. 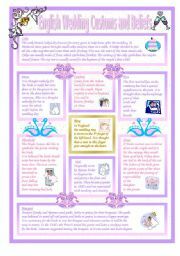 This worksheet contains some information about English wedding customs and beliefs. There are some questions to answer, a true or false statement activity and a writing activity. 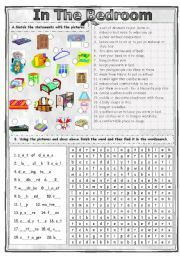 This worksheet has a match the picture with the description activity and complete the spelling and find the word activity. Answer key included. It prints well in black and white. Hope you like it. Have a nice day. 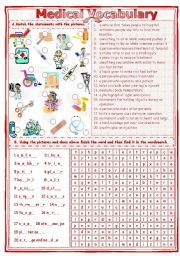 This 2 page worksheet has 4 activities. 1 - matching pictures and words. 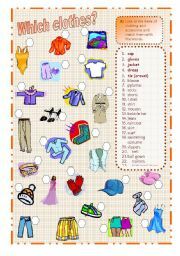 2 - choosing which clothes to wear for different situations. 3 - answer questions. 4 - true or false. Page 2 has some text missing and some text not in correct place but I downloaded it and it was fine. 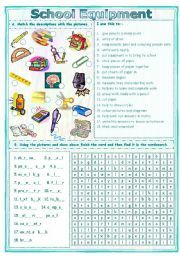 This worksheet has a match the picture with the description activity and complete the spelling and find the word activity. I couldn�t resist number 18. I hope the students see the humour in it! It prints well in black and white. Hope you like it. Have a nice day.